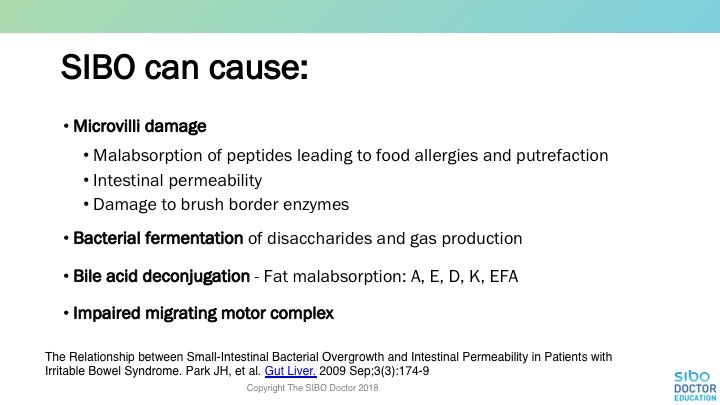 In her webinar Nirala explains the causes, diagnosis and treatment of SIBO. a. Damage to the migrating motor complex (MMC) which results in bacteria not being cleared or swept out of the small intestine. b. Altered anatomy or structure of the small intestine eg. Adhesions around the small intestine, the effect of which is blocked bacterial clearance. c. Altered physiology or function in the gastrointestinal tract eg. Hypochloridia from PPI use or pancreatic insufficiency which results in bacteria not killed in stomach or SI. 2. Diagnosing SIBO using breath testing and interpreting the results. 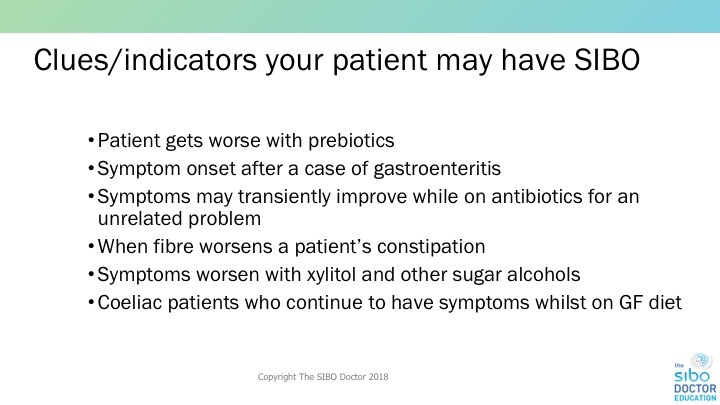 Nirala concludes her presentation with a case study which nicely illustrates her assessment, diagnosis and treatment of SIBO. Nirala Jacobi graduated from Bastyr University (USA) in 1998 with a doctorate in Naturopathic Medicine. She is considered one of Australia’s leading experts in the treatment of small intestine bacterial overgrowth (SIBO), a common cause of IBS. Nirala lectures frequently both nationally and internationally on this topic.